The title of the sermon is The Unreasonableness of Indetermination in Religion. 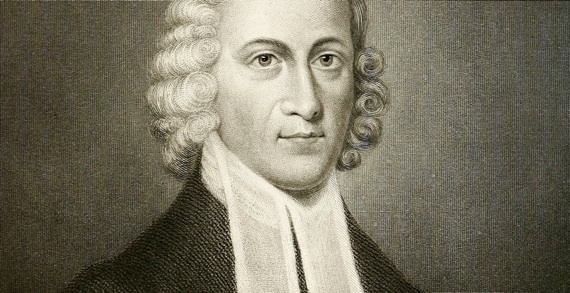 Jonathan Edwards preached this sermon in the summer of 1734. Doctrine: Unresolvedness in religion is very unreasonable. Two central propositions support the doctrine. Proposition 1: Many persons remain exceedingly undetermined with respect to religion. Edwards notes that some people never resolve the matter of truth. That is to say, they cannot determine whether or not historic Christianity is true. The point is fascinating when one considers the current postmodern milieu where some maintain that truth is either culturally conditioned or even non-existent. Our culture views truth as a “power grab.” The 18th century Enlightenment mind believed in truth and the necessity of propositions. Edwards argues that many people merely wavered between two opinions. A sad state of affairs. Proposition 2: To continue thus undetermined and unresolved in the things of religion, is very unreasonable. 1. Inquire whether you have yet come to a full determination with respect to the truth of the things of religion. 2. Inquire whether you have ever yet come to a determination about religion with respect to the practice of it; whether you have chosen heaven with the way to it, viz. the way of obedience and self-denial, before this world and the ways of sin; whether you have determined upon it as most eligible, to devote yourselves to the service of God. To put off duty altogether. It is a sign of the same thing when persons are strict and conscientious in some things, but live in the omission of others. It is a sign that you halt between two opinions, if you sometimes are wont to be considerably engaged in religion, but at other times neglect it. It is a sign that you are halting between two opinions, if it be your manner to balk your duty whenever any notable difficulty comes in the way. Those who live under the gospel, and thus continue undetermined about religion, are more abominable to God than the heathen. The Unreasonableness of Indetermination is a classic Edwardsean sermon that highlights an 18th century mindset which is thoroughly biblical and Christ-centered. Oh, that the 21st century mind would gain the strength and fervency of worldview and passion for preaching as demonstrated by Jonathan Edwards!